I think, and just to give you a little backstory on my situation, my daughter is now in middle school. I can’t believe it. She’s in 7th grade. She was accepted into the New York City Gifted and Talented Program at the ripe old age of four going on five, going into Kindergarten. She took the G&T test here in New York when she was in Pre-K. She started the kindergarten program at a gifted school PS 33 Chelsea Prep. It just really accelerated her learning. It really put her in an environment where she could thrive. It put her in an environment where children were working at her same pace and her same level. Therefore, the class could move at a much faster pace through the curriculum and through the material that the teacher presented. Also, one of the bigger benefits that I found was just the experiential component that really allowed her to thrive and to grow intellectually, and also socially as well within a gifted program. A good example of that is when she was in fourth grade. They did a whole study in the classroom over the Constitution, what the Constitution means, all the history behind the Constitution. They studied that for about two or three weeks. Then after that series of studies they all took a field trip down to Philadelphia, which is a little over an hour train ride from New York City to Philadelphia. Actually, I had the honor of attending that as well as a chaperone. We did a whole tour of Philadelphia, Constitution Hall, Liberty Bell. I think we even saw Betsy Ross’ home. We learned a lot about Benjamin Franklin as well. Those were some of the benefits that I saw, was really taking what was learned in the classroom and actually putting it into a real life experiential experience. One of the questions I get as far as these gifted programs are “Well, does the child develop, are they going to have social skills?” It’s like, yes. It’s like a regular classroom in that context. They’re just not drilling the kids day after day. It’s a very stimulating environment where all the kids thrive. They do socialization. I’ve gotten this question too:” “I don’t want to steal my child’s childhood away from him or her.” That is never the case. If your child thrives in an environment and really loves to learn, they’re really going to excel at one of these programs. That’s why I strongly encourage if your child is eligible to test, please, please get them tested. I can tell you, I did not grow up in New York City. I grew up in Oklahoma and there was no gifted program. We went to the school that was down the street in our neighborhood. When I moved to New York City I felt a little strange testing my four year old daughter, but I can tell you that was the best decision that we ever made. If you’re contemplating that, just make sure that you really keep the long term picture in mind. I can tell you that decision that my wife and I made back in 2009 set my daughter up for he excellent education that she’s currently getting in middle school. Then next year she gets to take the specialized high school exam here in New York City, which is very competitive as well. I can tell you, that decision we made when she was four years old is a direct impact of where she is today. You as a parent, you have to really think long term as you’re really planning your child’s education out. Getting in the program is just the first part. Is your child taking the NNAT-2 test for the New York City Gifted and Talented? If your child is going to be taking the Naglieri Nonverbal Ability test, or NNAT any time soon, you’re probably a little worried. What is this test like? How will my child do? What if my child isn’t good at spatial reasoning, or puzzles? 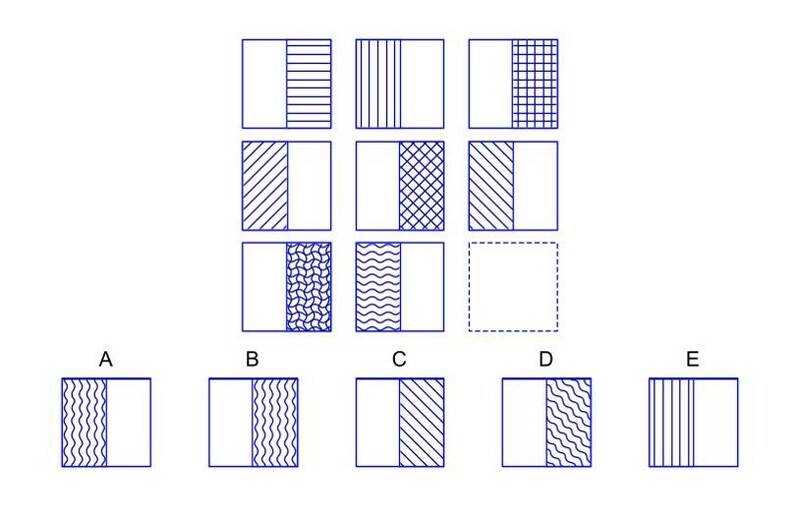 The NNAT is a visual spatial reasoning test that is used as one of the two tests to screen kids for the NYC Gifted and Talented Program. The test takes about half an hour. It’s multiple choice and no reading is required. For each section of the test, children start out with easier questions and they keep going until they miss four, or five in a row. A pattern completion question that we would expect a second, or third grader to be able to answer. Here, the child has to figure out which square belongs in the empty box to complete the puzzle. The answer is D.
Can you imagine asking a young child to handle a question like this for the very first time on a test where the results are so important? Practice really helps. 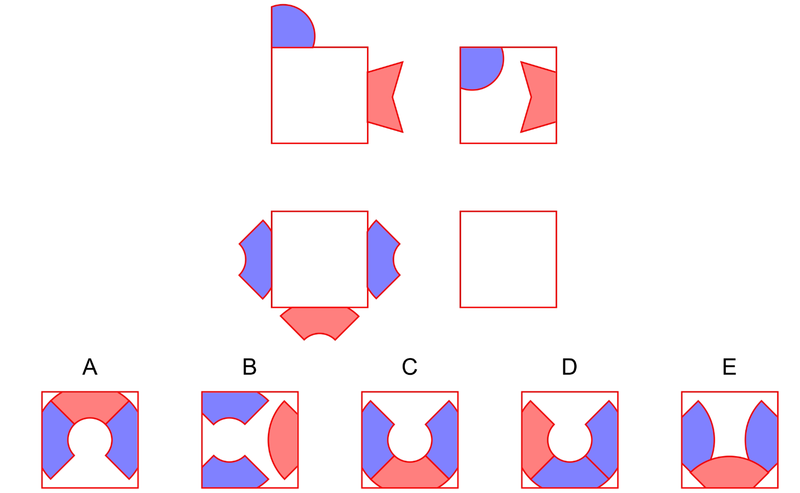 For older children, the NNAT-2 questions are much harder, because kids need to figure out what a design on the bottom will look like when folded and then rotated like the design on top. The answer is C.
If your young child is taking the NNAT test and you’d like to learn more about the kinds of questions that will be asked visit TestingMom.com for free practice questions. The trend continues throughout the city and the rest of the US to encourage kids not only to take risks but also encourage kids in the experience of failure. It seems the pendulum has swung swiftly into the other direction from everyone gets a trophy for just showing up to encouragement of risk taking which in turn leads to failure. NEST is the latest example of incorporating this type of teaching throughout the school to it’s 1,700+ student population. Here are a few of things that have been introduced at NEST+M to create a culture of perseverance of fail and try again and students seem to be responding. The library is equipped with 3-D printers and laptops to transform the way students work and interact within a library setting. Students have their own publication using a popular software product called InDesign. The students select all the writing passages and the artwork that are within the magazine. Instead of traditional methods of teaching to younger grades, the school utilizes student’s talents to give talks and presentation on a variety of topics. In the middle school program the students are taught robotics and this teaches both computer programming and math skills with this specific program. Most parents don’t want their child to experience any frustration. Believe it or not, frustration your child experiences leads to a sense of achievement that a child needs to successfully accomplish a task. None of like to wait but having your child experience frustration is a pathway to long term success. When your child fails congratulate him or her! Ask him or her how they feel about the failure and what might they change next time to make sure they aren’t going to fail again. It’s a good lesson for parents to teach although it’s difficult for some parents to have this conversation with their child.